The Consumer Electronics Show (CES) in Las Vegas is always a place to discover the latest trends, and this year is no exception. 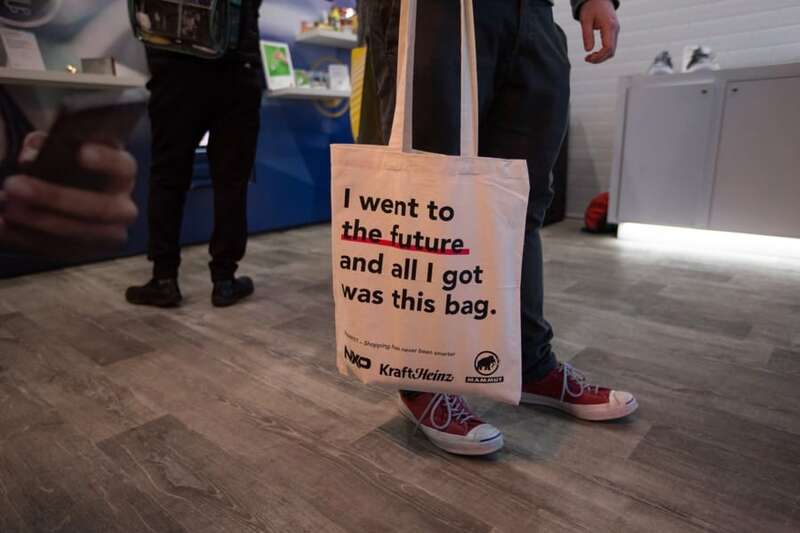 One of the key trends of CES 2019 is “High-Tech Retail,” and the show floor is abuzz with how today’s technology is transforming the retail experience of tomorrow. 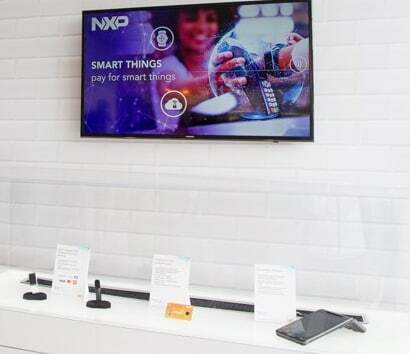 NXP contributes to the vision of new retail with the “NXP Smart Market,”our unmanned store that replicates a new, highly interactive and personalized shopping experience. Here are the 7 ways to experience the future of the retail industry. Upon entering, you can expect to be welcomed by digital signage and what’s more, personalized shopping recommendations. For instance, based on previously purchased items, current promotions, or accrued loyalty points these screens can offer new, tailored product suggestions that link consumers to the latest trends, offers or newly released products for sale. 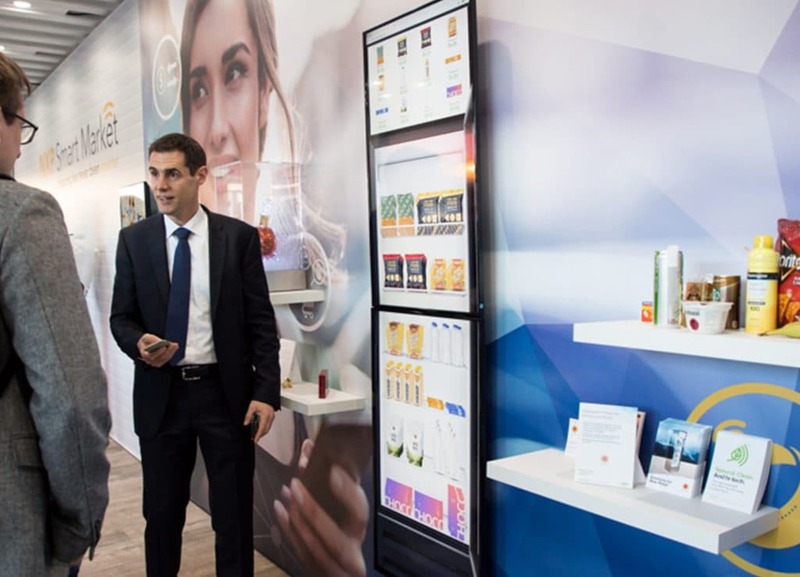 Personalized advertising displays using NXP’s UCODE-enabled wearables, demonstrate how RAIN RFID creates a more memorable, online experience in-store. NFC technology lets you connect in new ways with your favorite brands. Not only is the store smart, but so too are the products. For example, tap your phone to that new jacket on the rack and instantly learn more about the designer, other optional fabrics and what new styles and accessories go with it. 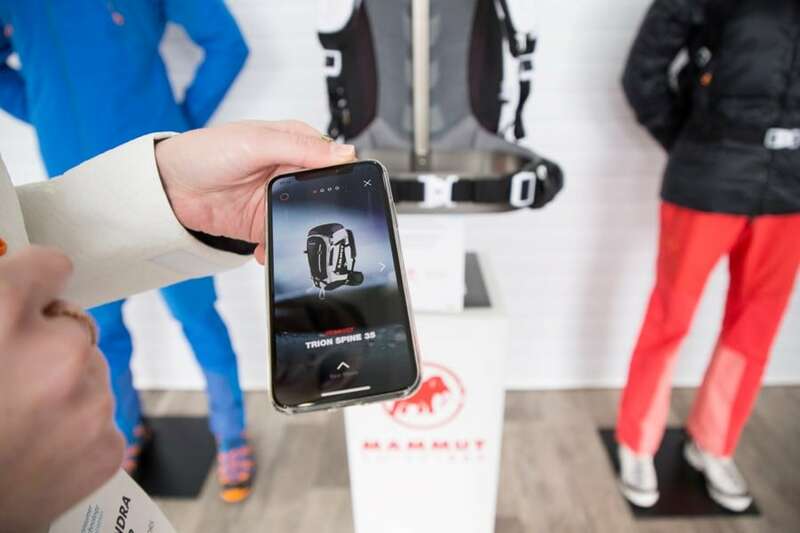 At CES, Mammut’s new line of outdoor gear incorporates NXP’s NFC technology to provide shoppers with detailed product and warranty information through their mobile phone. Forget about tiny stickers to collect or a bulk of loyalty cards to keep in your pockets. The future retail experience is digital. Enter contests and join loyalty programs all from the convenience of your mobile device thanks to companies like TPG Rewards. 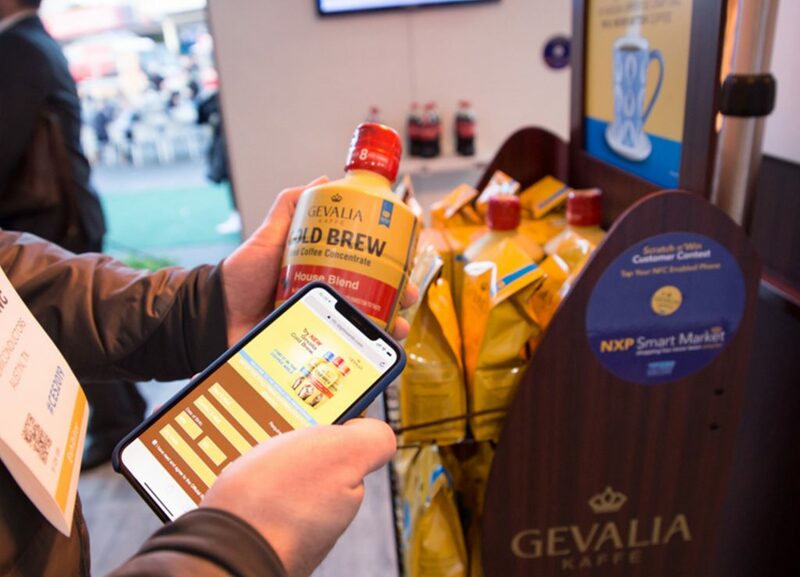 Their highly innovative promotional platforms leverage NXP’s NFC technology to enable next gen experiences with deeper digital interaction with leading brands like Gevalia Coffee and Coke throughout NXP’s Smart Market. Payment has become truly seamless with your payment credentials from third parties being securely stored in a digital wallet. And this digital wallet exists in an ever growing array of mobile devices and wearables from Garmin, Fitbit and even luxury manufacturers such as Montblanc are now offering tap-to-pay capabilities. And with new payment devices, comes change to the POS terminals they interact with. Ingenico’s next gen POS devices offer a rich, smartphone- or tablet-like experience, runs on cloud-connected smart platforms and offer a variety of apps to provide customers additional product information, check inventory or perform other business management-related tasks. 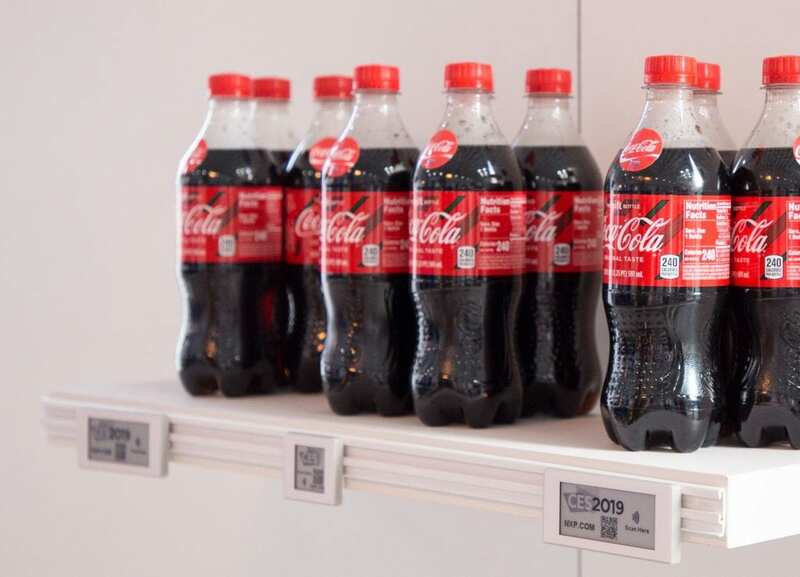 Electronic shelf labels, such as those from Opticon, make you think about payment differently as they let you pay for a product with a simple phone tap to the dynamic, digital label. Or experience UHF-based, automated checkout stations as used by Decathlon, which simultaneously reads all your products in the cart and allows for quick and easy payment so you don’t have to wait in those long checkout lines any longer! We are all hooked on the digital and personalized experience of online shopping with its endless supply and guaranteed availability of products. With RFID smart labels, retailers are increasing inventory accuracy, lowering costs (and prices) and ensuring that your products are always in stock, with the options you need in store. Additionally, intelligent refrigerators with NXP’s integrated RAIN RFID technology allow for unmanned store concepts smarter inventory management and also enable easy NFC payment for Take and Go. Stora Enso is a leader in intelligent packaging and is bringing this online experience to stores as we speak. Imagine it’s late Sunday night and you suddenly realize you’re out of coffee or baby food for the next tough Monday to come. All stores are closed and the odds of getting a delivery are fairly low. Thanks to MIFARE access products, unmanned stores can open their doors 24/7 for customers with a dedicated app that enables them to open the door. The automated, unstaffed store is turning into a global phenomenon as we speak. Especially in Asia we see the rising tide of tech-savvy shoppers looking for the ultimate in convenience in unmanned store concepts. 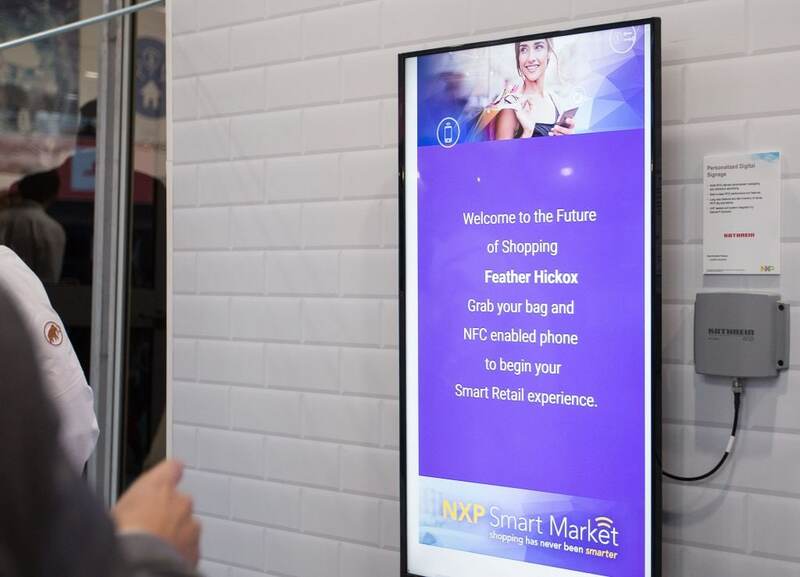 If you’d like to learn more about trends in autonomous retail, and the NXP technologies that make it a reality, visit nxp.com/smarket. If you’re at CES, plan to stop by the NXP booth (CP 18, Central Plaza) where we and our partners bring this new Smart Market phenomenon to life with partner demos enabled by NXP’s NTAG (NFC), ICODE (NFC), MIFARE (HF), UCODE RAIN RFID (UHF), NFC reader and secure payment technologies, services and partner solutions.